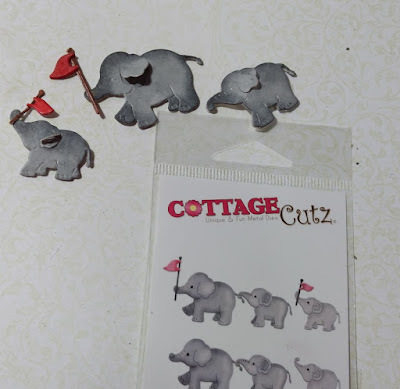 I am Anita here and it's my day to share super fun project using CottageCutz dies. 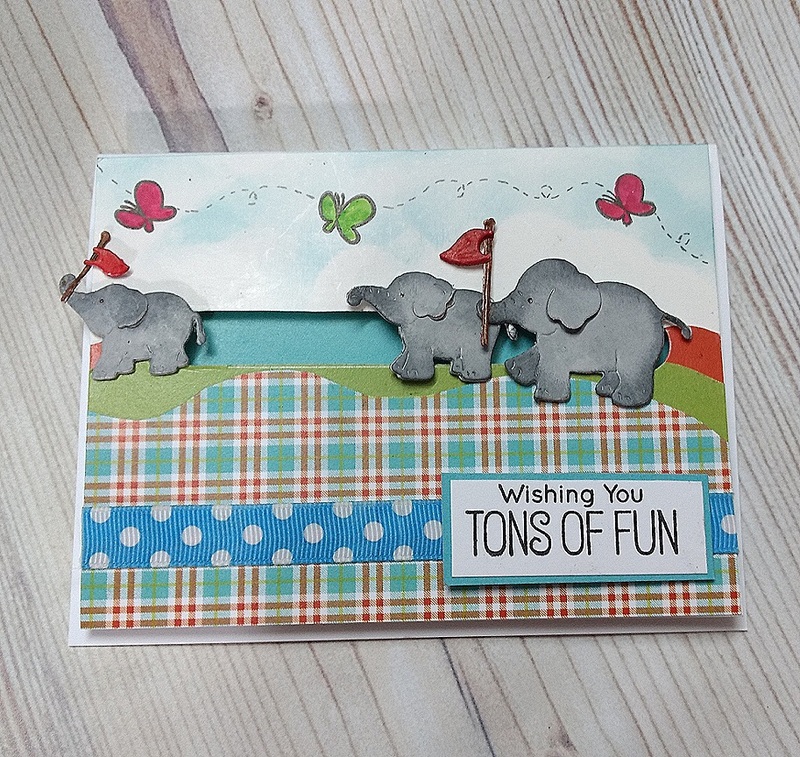 The baby theme dies are all so cute and amazing that we can create many cute cards etc using them . You can check the collection here. 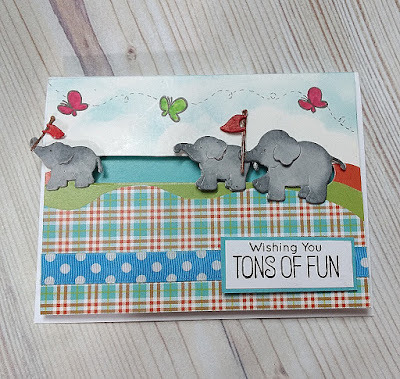 For today, I have a Slider card using the Elephants from the baby collection. It is very easy to make such cards which are very popular with kids. This is my card and below are the pictures of how I made them. 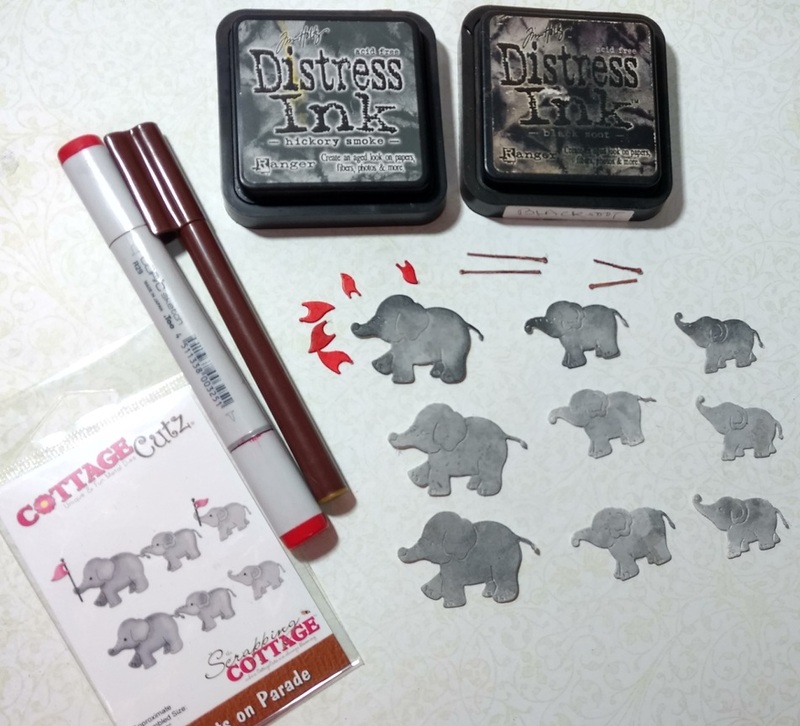 Begin by cutting the die cuts from the Elephants on Parade die. I have cut three times as I wanted to create thick die cuts . 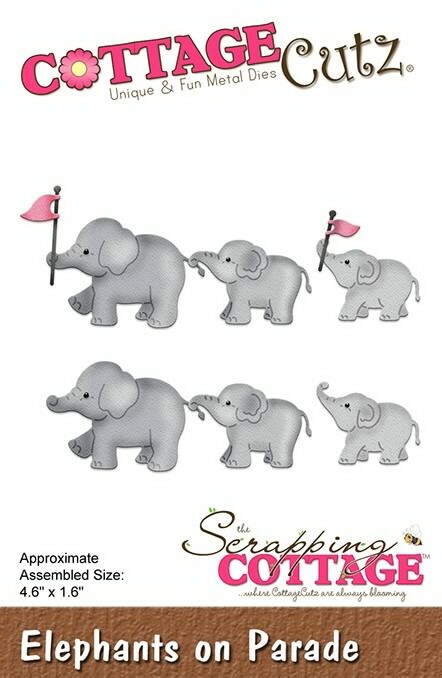 Colour the Elephants as shown following the image on the package. Pass two Elephants of each size -the ones that have been coloured without shading through a sticker maker. 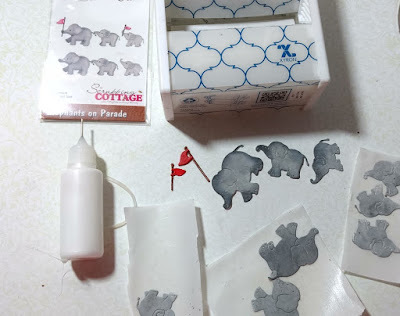 Adhere the Elephants as shown and assemble the pieces together. Cut a card stock 4 inches by 5.25 inches and adhere layers of pattern paper. 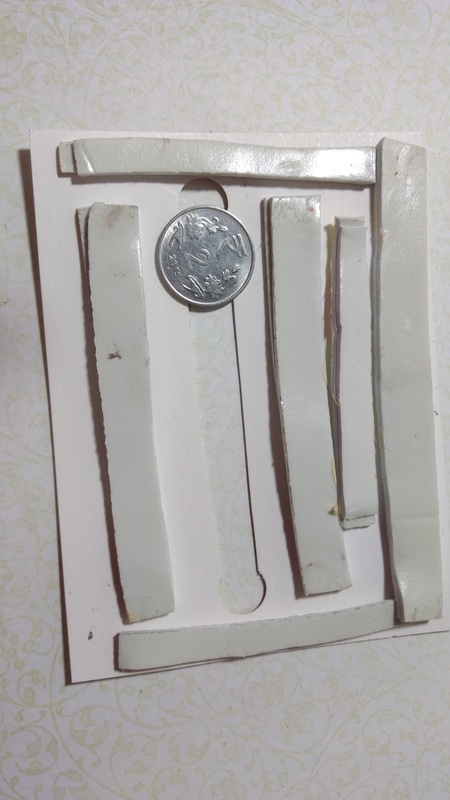 Draw a half inch parallel line in the centre and punch out two holes using a 1/4inch punch . Cut in between the holes. Turn the card panel over. Double the 3d foam tape and cut into strips and adhere at the back as shown. 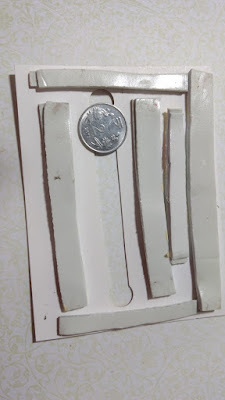 Keep the penny in place to know where to place the tape. 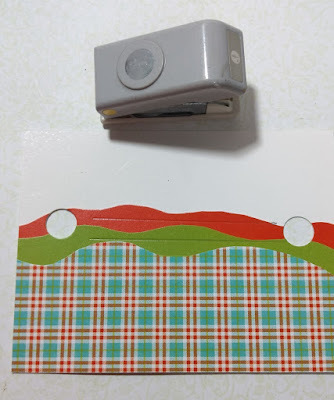 Attach a blue pattern paper cut to the size of the Slider panel at the back. Add clouds using distress inks . 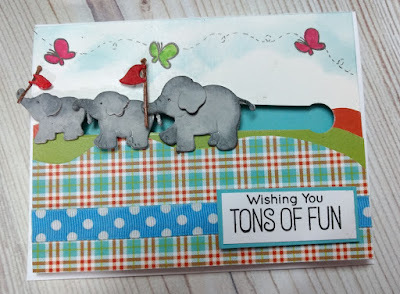 Add some stamped butterflies . Adhere the Slider panel on A 2 card base. Add ribbon and sentiments. Do stop by the CottageCutz store for your die shopping. Super sweet slider card! 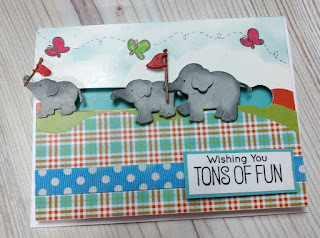 Just love those elephant! Awesome slider card Anita! Super cute! Anita, I love your gorgeous slider card!! 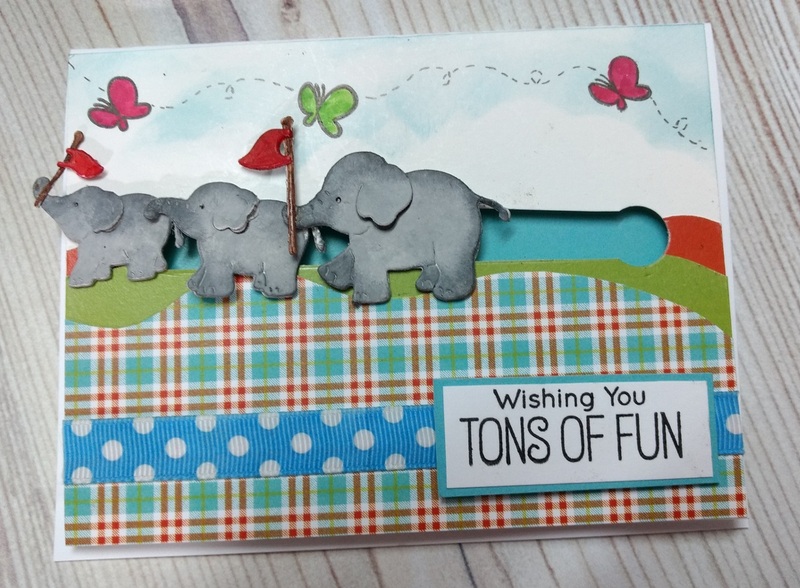 The elephants are so adorable and perfect for such a card! The butterflies across the top are gorgeous as is the plaid designer paper. You created a great scene with all the elements! So adorable. 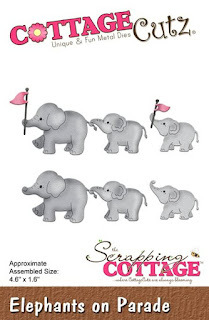 The elephants are so cute.